Discovery Boxes are checked out within the Wichita area. Each box contains printed and hands-on materials. Boxes are checked out for two weeks. The Kansas Box may only be checked out for one week in the month of January. If you want to know what is in each box, you may download the contents checklists by using the links next to each title below. Project-based learning curriculum focused on creating and using a prairie pocket garden on your school ground. Graduate credit is available. KACEE is accelerating environmental literacy and conservation in Kansas through non-biased, science-based environmental education. - A multi-disciplinary Environmental Education program, focusing on plants and trees in particular as aids in environmental education. 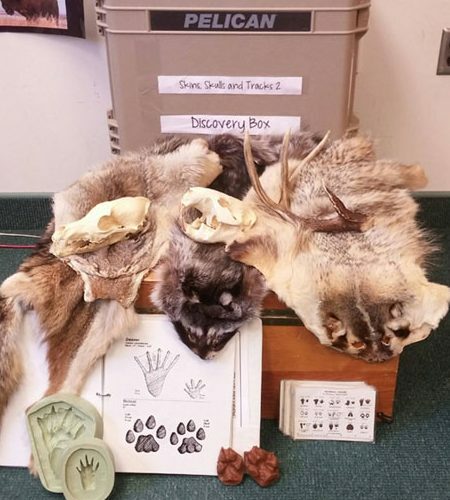 - Companion programs to Project Learning Tree, focusing on wildlife. - This program focuses on aquatic habitats. - The Leopold Education Project is an interdisciplinary conservation curriculum based on the classic writings of renowned conservationist, Aldo Leopold. - hosts an annual training workshop in the fall. Wide membership from government, the private sector and the E.E. community. - Hosts an annual training workshop in the spring. It is a state chapter of the National Science Teachers Association. Check the website for current contact information. - Fall meeting, spring field trip, Internet listserve, newsletter, regional workshops & seminars and The Kansas Biology Teacher journal. Check the website for current contact information. - The professional organization for the interpretive field. The web site for the regional section (Region 6) for the southern Great Plains area may be reached by clicking here. - A website devoted to environmental education links on the internet. It is maintained by the North American Association for Environmental Education, with support from the U.S. Environmental Protection Agency. The U.S. Environmental Protection Agency has an online listing of EE resources.